This acetate container is filled with 9.5 oz. 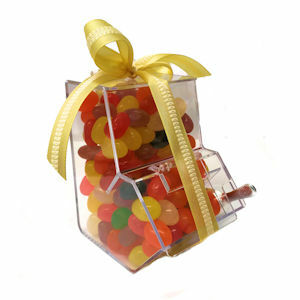 of our assorted fruit jelly beans. It comes with a small metal scoop and is refillable.